Following it’s much anticipated grand opening March 2015, Omnia LV has quickly become the hottest club on the strip. 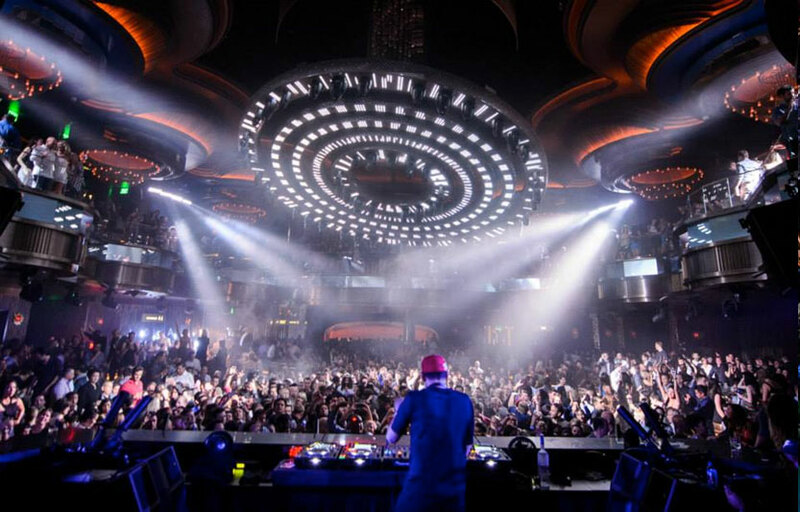 Located in the space previously occupied by Pure Nightclub in Caesars, Omnia features a star studded DJ line up that includes Calvin Harris, Tiesto, Zedd, Martin Garrix, Steve Aoki, Lil Jon, Illenium, Nghtmre, Gryffin and more. The Omnia aura begins upon entering the lavish space. 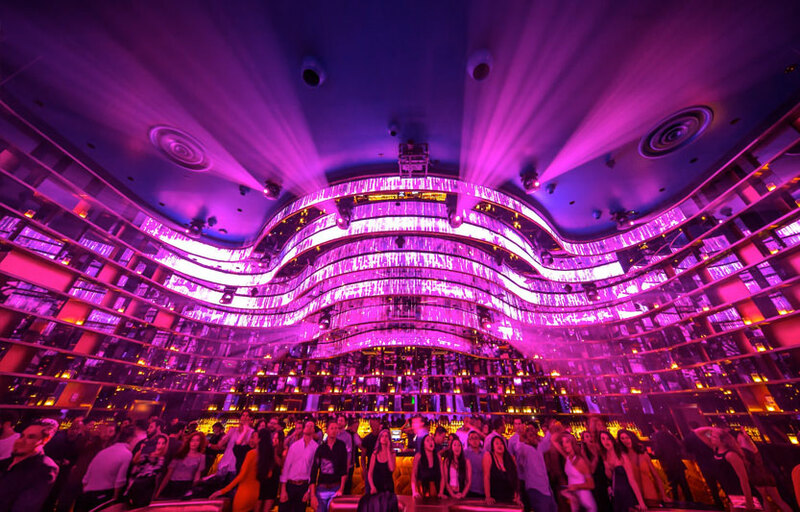 A colossal lighting system, which looms over the expansive dance floor, sends cascading light throughout the main club. Guests under the four-story roof will be showered with beams of changing colored lights revealing layers of architectural wonders. VIP party people have an even grander view from the private booths perched in the mezzanine above the dance floor. Guests of Omnia are greeted by beautifully lacquered gold-ticketing kiosks surrounded by plush purple velvet walls. A multi-armed chandelier and elaborate art installation bring guests to the main corridor sheathed in stone tile. Liquid-crystal display (LCD) portals embedded in black one-way mirrors on all four sides of the walkway create an ever-changing environment through interactive technology as guests enter the main club. The main club boasts a dramatic 65-foot-tall ceiling dome that encompasses a 22,000-pound kinetic chandelier. 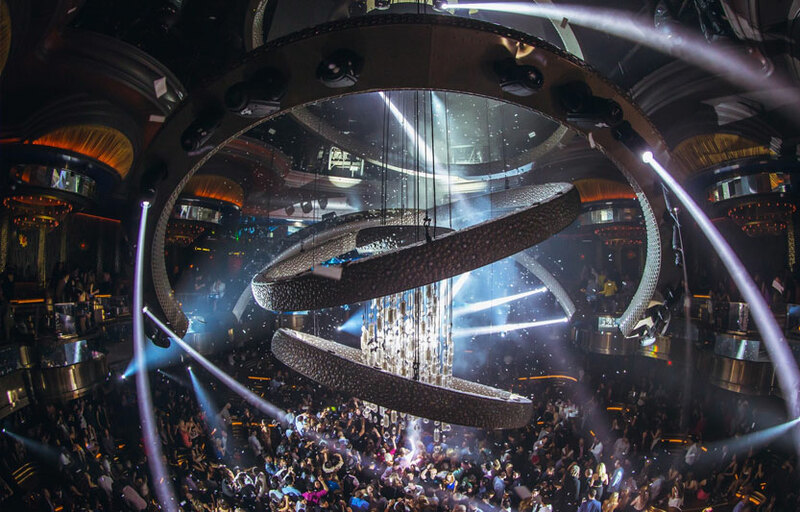 The grandiose centerpiece of the main club consists of eight concentric rings featuring production elements including theatrical lighting effects, video projections and light-emitting diodes (LED) choreographed to evolve throughout the night. Also located in the main club are the Opal and Velvet bars, each offering guests prime views of the performance area. Two ascending grand staircases lead guests to the balcony, with 12 opera boxes and two grand skyboxes for premiere seating with views of the dance floor below. Also located on the balcony level is the Mirror bar featuring facetted iridescent mirror displays. 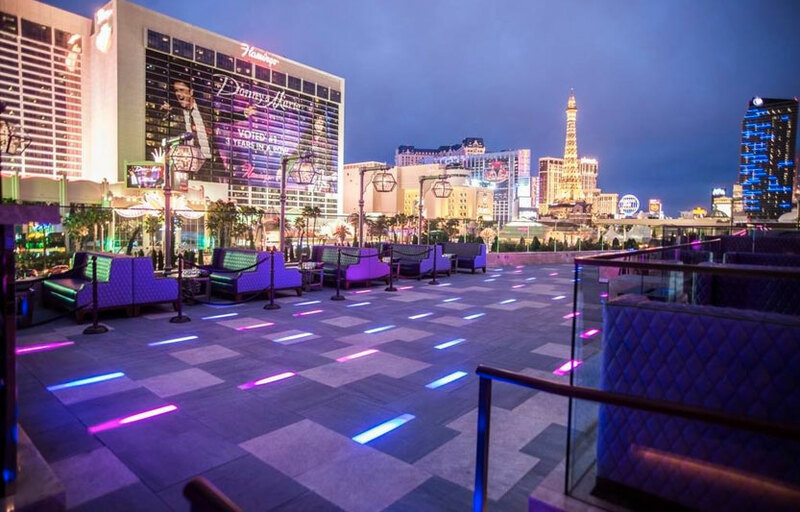 Atop Omnia sits the terrace providing views of the Strip. Architectural LED strips embedded into the flooring and walls, etched glass light fixtures and cantilevered lampposts provide a soft glow after dusk. 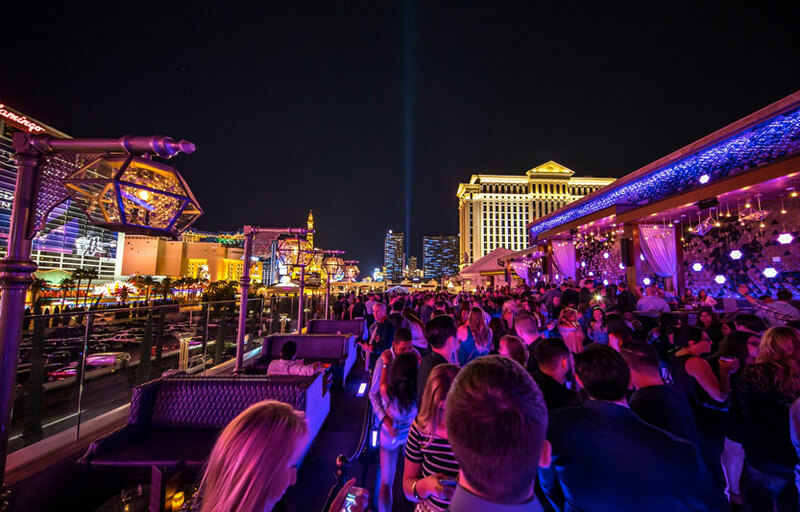 The space includes a dance floor, 50-foot-long main bar, tiered cabanas, plush sofas and DJ booth for guests looking to enjoy the energy of the Strip under the stars. Heart of Omnia features a palette rich with dark woods, bronze crocodile-embossed leather banquettes and LED screen arrangement. Envisioned as a seductive lair, the ultra lounge features private seating areas, a bar and DJ booth. 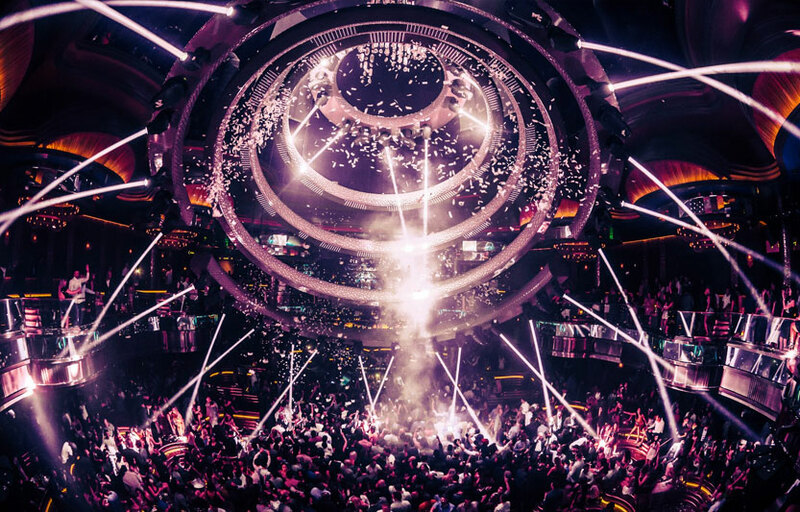 Omnia LV is going to be the hottest club on the strip for 2015. The high-tech chandelier that is made from eight oval rings and hangs over the main room of the club. It puts on a mindblowing light show – as if a spaceship is landing over the dance floor. It’s 22,000 pounds and moves at 4 feet per second! 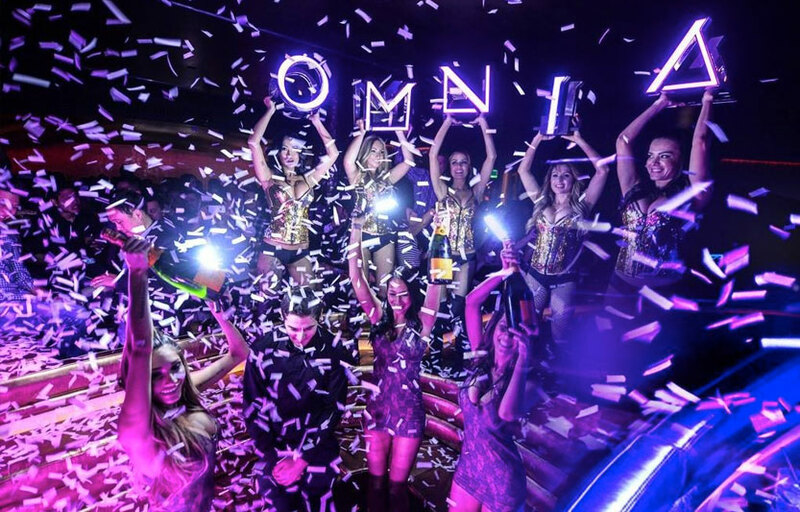 On Fridays and Saturdays We’d recommend either getting bottle service or skipping Omnia altogether. Omnia does not feature a big DJ on Thursday nights – if you’re just looking to check out the club we’d recommend coming on this night. Tuesdays and Sundays are also usually better days to come if you’re trying to avoid long waits. Heart of Omnia is a completely separate room that features a hip hop DJ. The Omnia terrace (rooftop) also features a different DJ, usually playing more chill music. You can get a table in either of these areas for much cheaper than the main room, and get full access to the entire club. 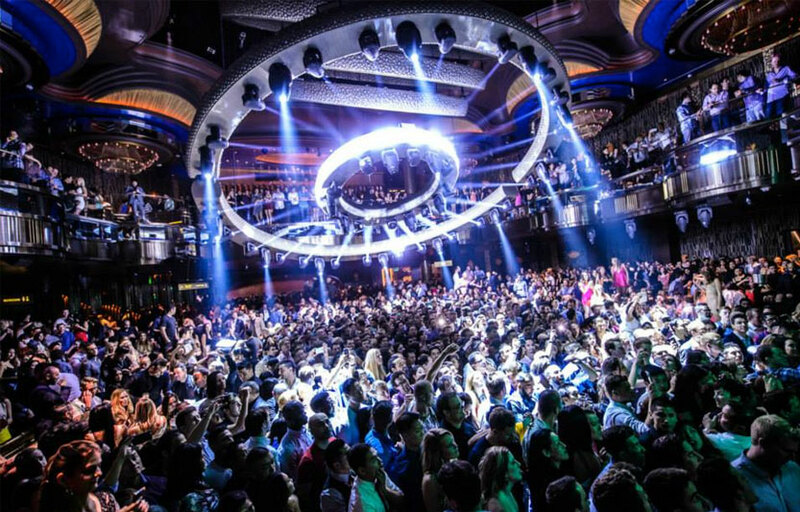 Omnia is located in the Caesar’s Palace, taking over the space previously occupied by Pure Nightclub. General admission pricing has not been released but you can expect to pay anywhere from 20-50 for girls and 40-50+ for guys. 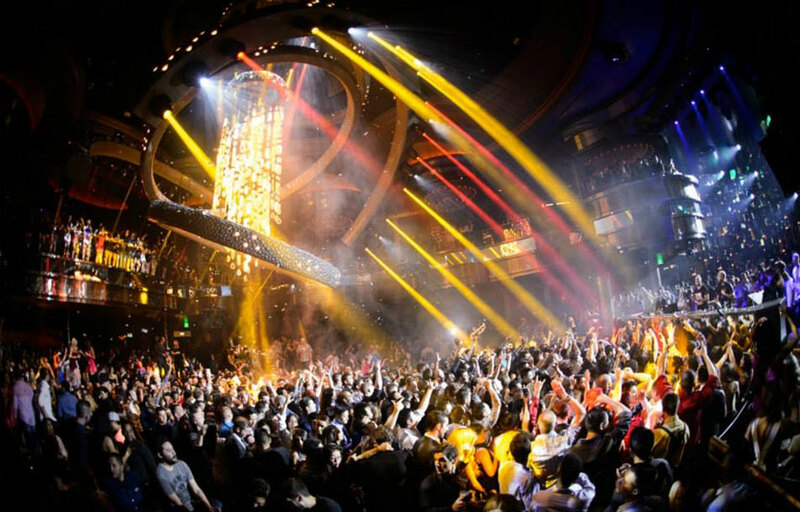 Omnia is going to be one of the hottest clubs on the strip, with its star studded roster of DJs and the fact that it’s the newest clubs on the strip. Expect waits to be VERY long. 1.5-2+ hours. You can expect shorter lines on Sunday, Tuesday, and Thursdays. Omnia is open on Tuesdays, Thursdays, Fridays, Saturdays and Sundays. What are the best days to go to Omnia? In general most nights will be packed at Omnia. If you’re just trying to check out the club, Thursdays is probably your best bet because there isn’t a big name DJ spinning – it’s just local talent. Tuesdays and Sunday nights are also usually less busy. Dress to impress. Given that Omnia will be the hottest club on the strip, bouncers will be looking for any reason not to let you in. Unless you’re getting bottles we’d recommend leaving no room for interpretation. Bottles start around $650-700 per bottle. 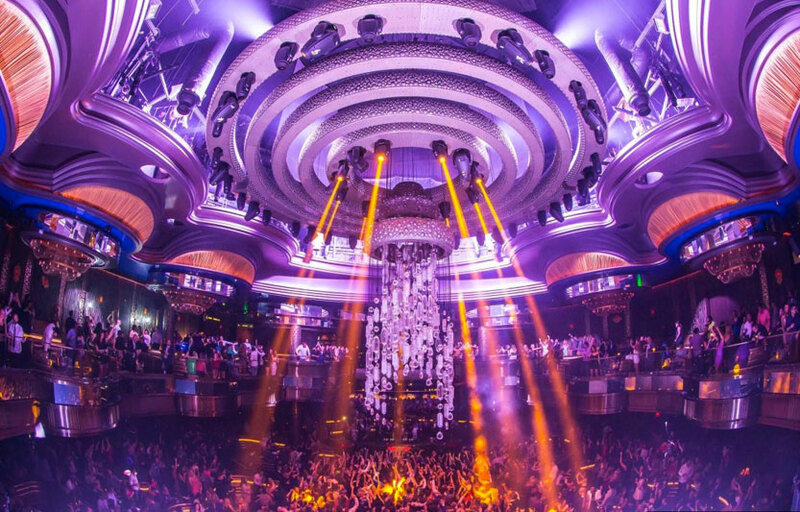 Omnia will share DJ residents with it’s sister clubs Hakkasan and Wet Republic. The resident DJ headliners for Omnia include heavy hitters such as Calvin Harris, Tiesto, Zedd, Martin Garrix, Steve Aoki, Lil Jon, Illenium, Nghtmre, Gryffin and more. Primarily Electronic / House / EDM music. Where can I find an list of upcoming events / DJs at Omnia? You can download the Discotech app to see upcoming events, book tables, and buy tickets for Omnia. You can also visit Omnia’s website for a current list of events. 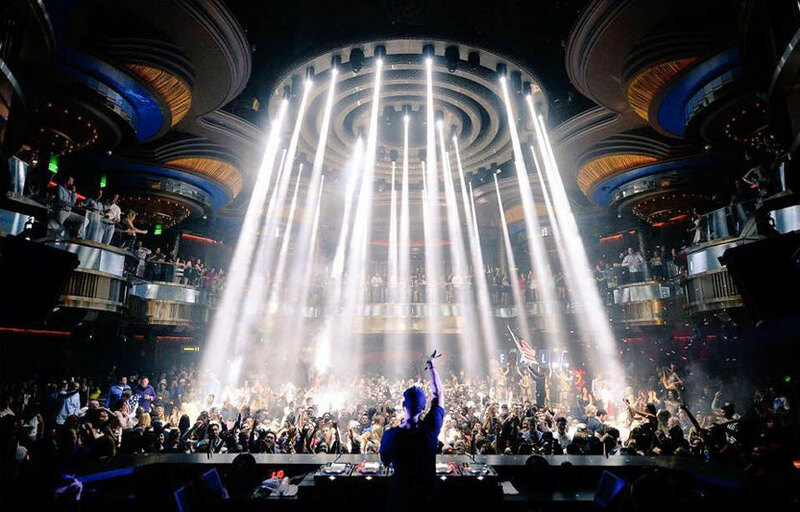 When is Omnia’s grand opening? Omnia’s grand opening is scheduled for Friday March 13, 2015. In which hotel is Omnia located? Omnia is located in the Caesar’s Palace. Looking for VIP offers and comps? Check out URComped.com to find a Casino Host at Caesar’s Palace.